1996 forward Matt Forchuk has committed to Quinnipiac University for the 2017-18 season. Chris Heisenberg was the first to report this commitment. 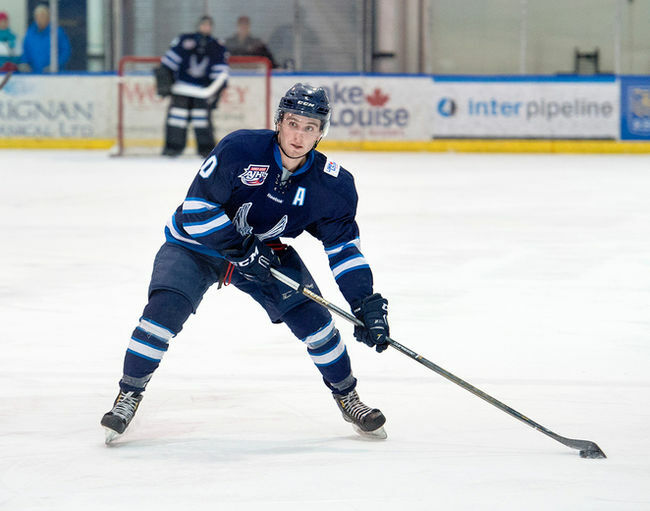 Forchuk is in his third season with the Canmore Eagles in the Alberta Junior Hockey League where he is leading the league in scoring with 11 goals and 19 assists in 16 games played. The 5'9 170 pound Forchuk is a late 1996 born player who had 72 points a season ago for Canmore (27 goals and 45 assists). Forchuk has a knack for taking penalties as he has already amassed 50 penalty minutes in his 16 games so far this season and 232 in his career with Canmore. He should bring some scoring depth to Quinnipiac next season as an older freshman. Back in September, he was receiving interest from teams both north and south of the border at the AJHL showcase but had yet to receive any NCAA offers. Forchuk is the second Canmore Eagle player to commit to a Division I school along with fellow forward, Logan Ferguson who committed to Holy Cross. This is the third future commitment from the AJHL following the prior commitments of two defensemen is T.J. Brown (Camrose Kodiaks) and Joe O'Connor (Brooks Bandits). I expect Quinnipiac will continue to be aggressive on the recruiting trail as I tweeted back on October 28th that the Bobcats might have up to 3 spots left for the 2017-18 season. Forchuk now fills one of those spots for next season.